The all-new, exciting and slightly cheeky MG3 offers more fun and value for money than any other car in the highly competitive supermini sector of the market. Prices have already amazed many with the news that even the top model in the four car line up costs less than £10,000. The ultra low insurance rating of Group 4E – less than half that of many competitors - is just as surprising, and particularly good news for young drivers who usually find the cost of car insurance prohibitively high. But this superb value for money package on the 106PS MG3 has not been achieved at the expense of specification, practicality or safety. All models benefit from signature front LED daytime running lights and electronic hill hold as standard. Except for the entry model, all MG3s featuring a high quality DAB audio system. 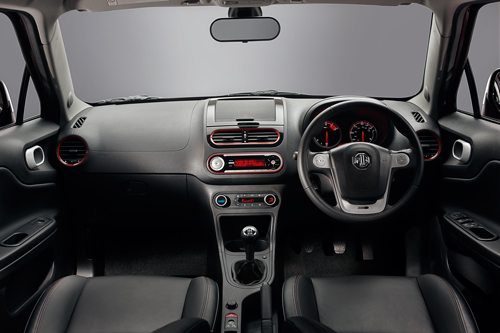 The sporty exterior style, with full width black mesh grille, black A-pillars and ‘wraparound’ windscreen, conceals an interior that offers one of the largest and most spacious cabins in the supermini class. With six airbags, electronic stability control, corner brake control and traction control, there is the full suite of the latest technology safety equipment standard on all MG3s. However, the key attraction for many people will be how much fun can be had creating their own MG3. The huge range of colours, exterior graphics, interior colour packs and part-leather upholstery was created by the UK design team and inspired by the British fashion industry. 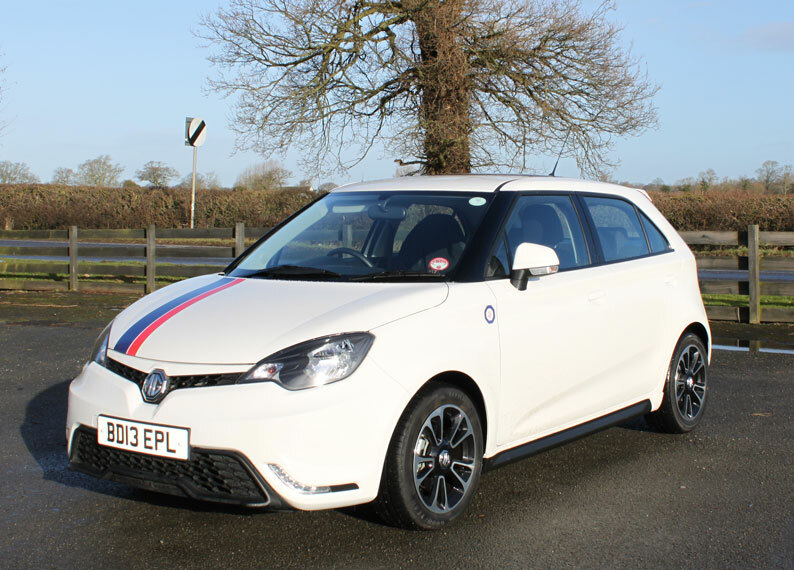 The production version of the MG3 carries forward many of the styling clues first seen in the eye-catching MG ZERO concept car designed to target young and style conscious buyers wanting something different. So the fun begins for customers even before they get into the car, by designing their own highly personalised MG3. With thousands of combinations available, the chances of seeing two identical MG3s together in the same town are pretty slim! Like the MG ZERO, the MG3 was largely designed and engineering by highly talented professionals at the MG Birmingham site in Longbridge. 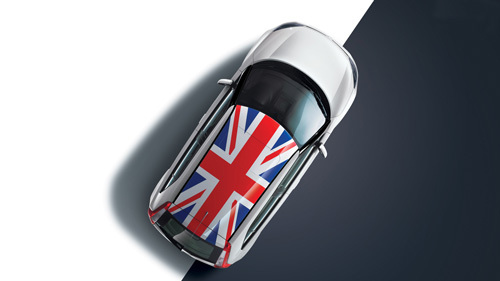 After the MG6, the MG3 becomes the second in a new generation of British designed and engineered MG models. The MG3 is unmistakable on the road. It takes the iconic MG brand another step into the future. 10 body colours are available from launch on all models. Wide range of exterior graphics packs plus contrast mirror colours available from launch on all models. 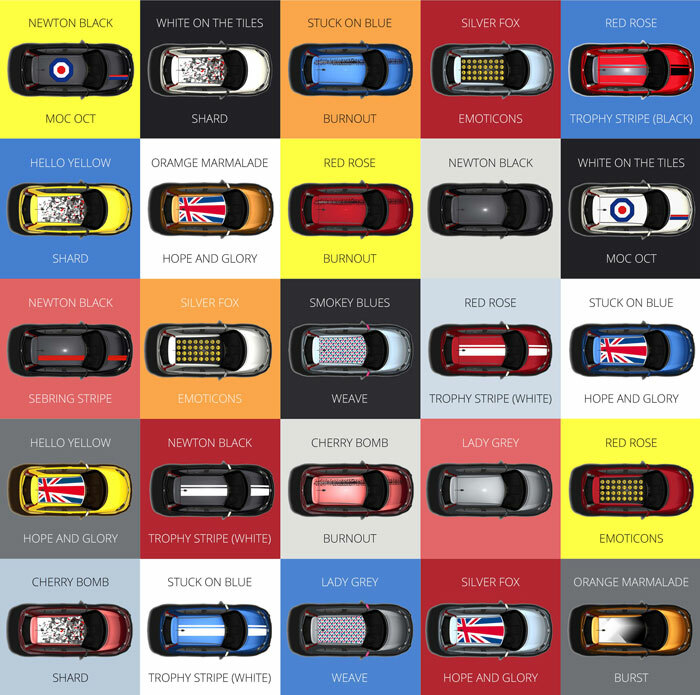 Interior finisher colour packs including colour co-ordinated keys available from launch on all models.